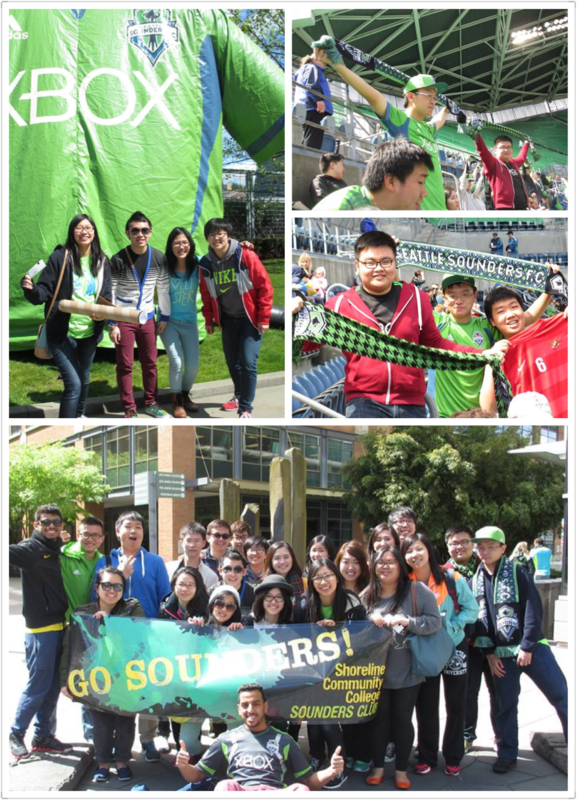 The International Peer Mentors lead a group of 30 Shoreline Community College students to the Seattle Sounders vs Colorado Rapids game on Saturday April 26, 2014. The weather was sunny, game was exciting and the Seattle Sounders won (4-1)! We all learned chants and songs to cheer with Sounders on. Shoreline students got the opportunity to join the larger Seattle community by cheering on the city’s team.